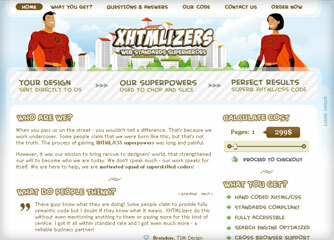 We're so busy building websites for others that we just can't get ours up and running. What is this Veboo thing? Veboo Labs is an experienced team of web designers and developers focused on providing highest quality. We are always on a pursuit to find innovating solutions that can help our clients shine but what is most important to us is to make their website users happy. That is why we believe that usability and accessibility should come first. Directly or as a reinforcements for other web design agencies our teammates provided services for many companies across the whole world, from small, local businesses up to large worldwide corporations like KLM Royal Airlines, HSBC or Tesco. Throughout the process Mike delivered great and prompt replies to my inquiries and in less than 24 hours delivered some of the cleanest XHTML and CSS I have seen in quite sometime. I will most definately be turning to them in the future for help with additional projects as their level of professionalism and the quality of their work sets them apart from other slicing services. You guys go above and beyond! I am very impressed with your work. Very happy with everything you guys have done so far, very professional work and great service. Chris tends to analyze things instantly and is always ready to share most pragmatic and logical solution with the rest of the team. At the same time he is very open minded and totally nice person with lots of empathy. I hope Chris will be always here with his knowledge and professional attitude. Whether you need a single website for your business or looking for a reliable partner for your webdesign agency you come to the right place, just drop us a line (if you prefer to chat over IM leave us your messenger type and ID, we'll get back to you). 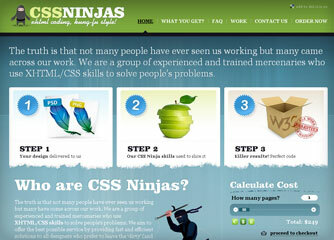 CSS Ninjas is a xhtml/css coding service site providing highest quality markup for an affordable price. 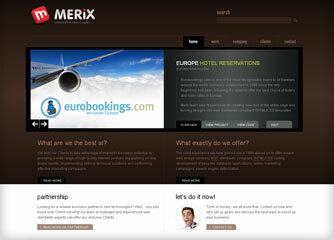 Merix Studio (merixstudio.com) is a design agency which we helped to build a lot of websites, including their own. They are still using many of our ideas and solutions. Headquarters of Web Standard Superheroes where XHTMLizers use their superpowers to turn deadly designs into polite and friendly xhtml/css templates. 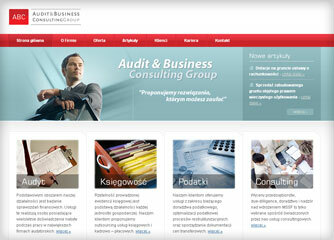 ABC Group is a audit company offering a wide range of financial and consulting services.